Thank you for signing the Guest Book for Domenic Savignani. Chicago Tribune and Donnellan Family Funeral Services thank you for signing this Guest Book. For additional details on the funeral home (directions, service arrangements, pre-planning), click here. Please take a moment to sign the Guest Book for Domenic Savignani. God rest your soul and give you peace. I'm truly sorry for the Savignani family's loss. I hope that fond memories of your loved one warm your heart and may the peace and comfort God gives be with you. It was a pleasure getting to know him and his family through the years. He was a very polite and sweet man. Our deepest condolences to the Savignani family. You are in our thoughts and prayers. Remembering a very sweet man and a loving and devoted family. May God bless his soul. 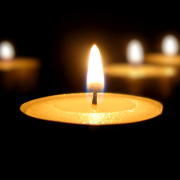 Sending condolences on the loss of your dear father, grandfather, and great-grandfather. Send me a daily email when updates are made to the obituary or Condolence page for Domenic Savignani.